Many French avant-garde artists, Impressionists and Post-Impressionists, including Manet, Meryon and Degas looked to Rembrandt. They saw him as an anti-academic forerunner, an artist who was able to capture the world around him directly, without worrying about the traditional rules of art – particularly in his etchings. Rembrandt inspired many artists to take up the etching needle, and this ultimately led to the revival of French etching. 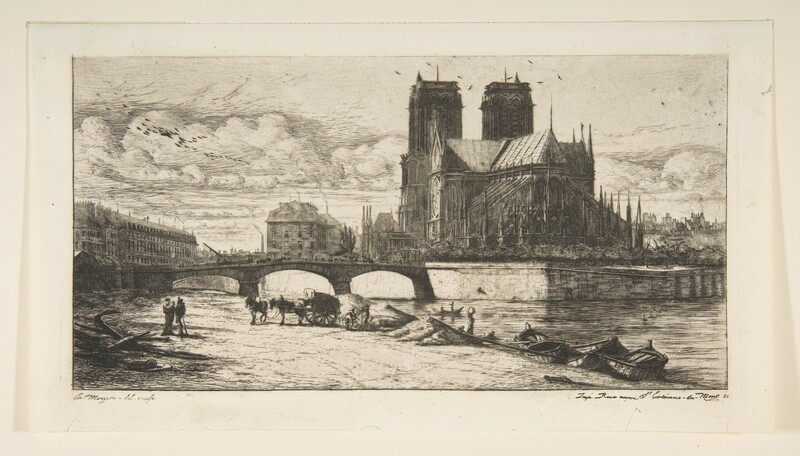 This exhibition showcases Rembrandt’s major influence on etching in nineteenth-century Paris. It features the most magnificent views: impressive landscapes, views of the city and observations of people – all in the spirit of Rembrandt. The Rembrandt House will be presenting two superb new acquisitions in this exhibition: an etching by Manet and an early drawing by Degas.